I don’t know how or why the question popped in my head. It’s really the first thing that came to mind as I opened up my laptop. It sounds crazy, someone being scared to stay sober but I think that may be big part of the challenge. Sobriety leaves us alone with ourselves. It’s that awkward moment of silence you share on an elevator with someone like your boss or manager. You know them, but not really. Not enough to strike up a conversation, but enough that you know you should. We don’t know who exactly is under all the layers and layers of addiction we hide ourselves with. We have an idea, but we are not exactly sure. It’s just easier not to search, than to search and be disappointed. And that is why sobriety and recovery is a complete life change. And it can be scary however if you hold on, it can also be exciting and amazing! 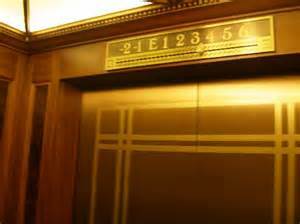 Imagine being in an elevator and the person next to you is the “sober you in five years.” What do they look like, where are they going, what do they say and is the elevator going up or down?? All comments are welcome and don’t forget to listen to our latest podcast!! My biggest fear used to be that I could never enjoyed life. Funny, being sober I don’t know however I enjoyed life drunk. I understand, I thought my life was over now that I couldn’t drink or use…but life sober just gets better and better…thanks for reading! !